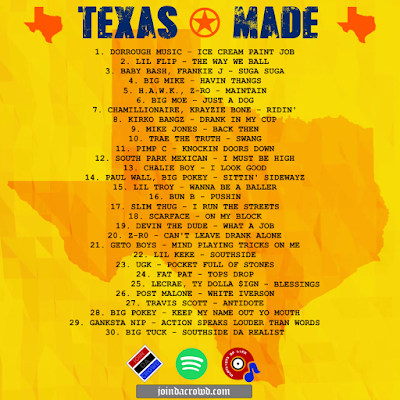 Either born, bred or raised in the state of Texas, here's 30 songs connected to rappers from Dallas, Houston and all surrounding areas. Everything from Geto Boys' "Mind Playing Tricks On Me" to Chamillionaire's "Ridin Dirty" to Travis Scott's "Antidote”, songs before, after and in between round out a banging playlist for the Lone Star State curated by Motzy. 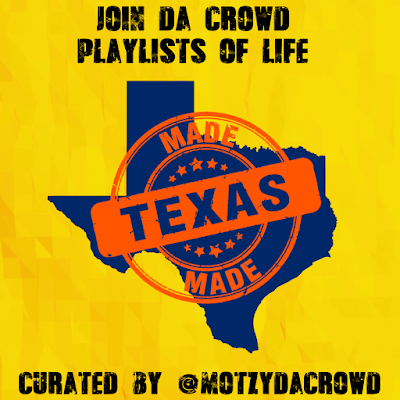 Motzy Says..... "When I think of Texas or better yet the city of Houston when it comes to rap, the words "down south" don't come to mind. For me, it's more of the sound, region and culture of these cities in Texas. Yes it's down south but I don't think, that when I listen to those from Dallas, Port Arthur, Austin and other areas around the Lone Star. To me, all these rappers/music artists stood out from that "down south" stigma because their sound was soo big and their movement was and still is soo independent. So this is my salute to them. Enjoy!!!!" 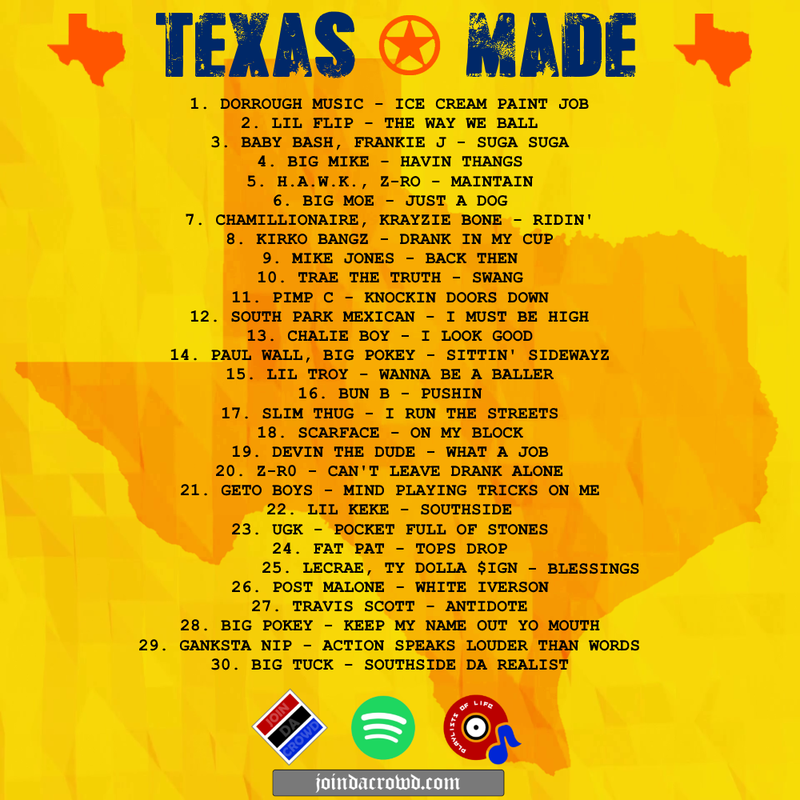 Featuring songs named after some very recognizable people recorded by some of your favorite music artists. 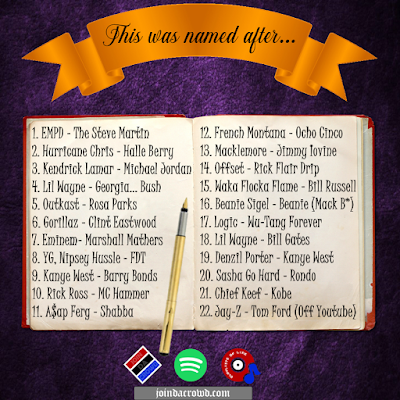 The names on these 22 songs are some real credible figures in pop and urban culture. 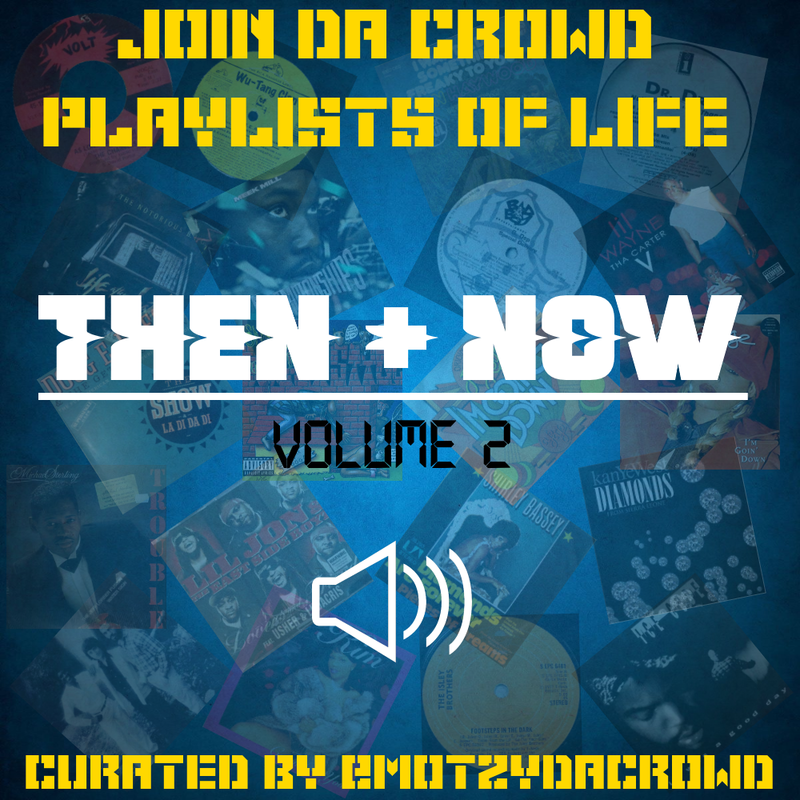 From EPMD's “The Steve Martin” to Jay-Z's “Tom Ford”, there's an array of different styles of Hip-Hop/Rap that completes this playlist. 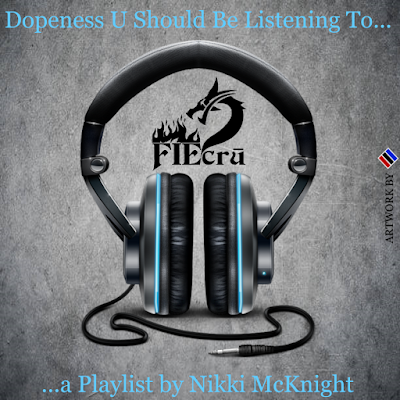 "I honestly use to think songs named after famous people was corny at one time but then I got, it’s all about recognition and just showing love to someone you admire or are not to fond of, for instance, FTD. Tom Ford is not on Spotify but I made it the last track on the playlist with a YouTube embed. This is more Hip/Hop driven so I hope you all enjoy it." Featuring popular Hip-Hop and R&B songs being streamed right after the original song that it was sampled or covered from! 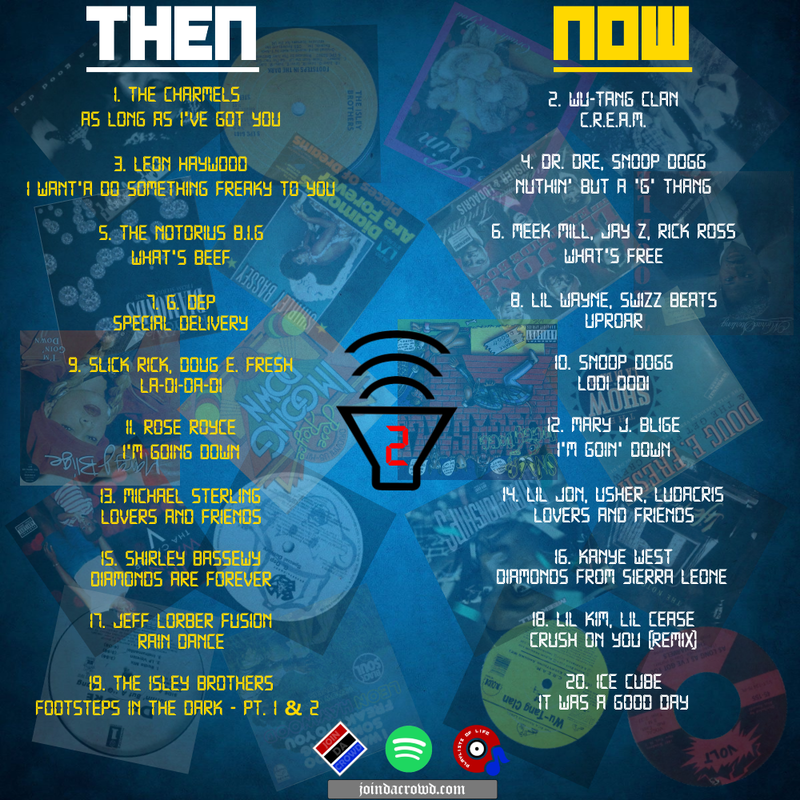 Our 2nd volume to the THEN & NOW series has a match up of 10 of your favorite songs to the 10 original songs. If you've ever wondered what record was used to create Wu-Tang's "C.R.E.A.M." or what was the original version of Mary J. 's "I'm Goin' Down" cover. 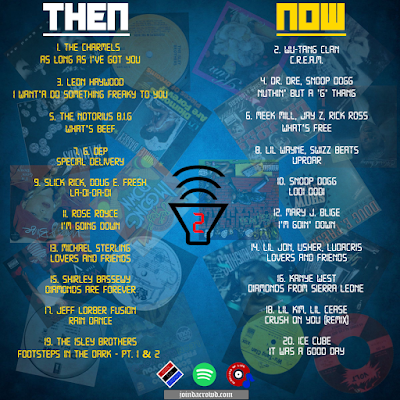 Here's our 2nd installment to the THEN & NOW series that exposes it all. I honestly couldn't wait to drop this second volume. 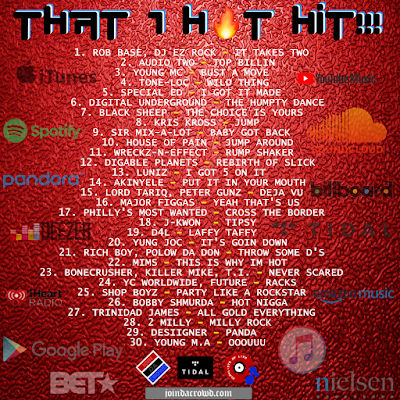 With records like "What's Free" and "Uproar" tearing up the charts and giving us the feel of "What's Beef" and "Special Delivery", I had to stretch this out to 10 songs. I really went searching for some classics and I pulled out some fan favorites. I honestly love this one better than volume 1. Sorry. Ha! Enjoy! On March 23rd 2018 we dropped our very 1st playlist; HATE (Hear As Time Evolves) via Tidal and it streamed really well. 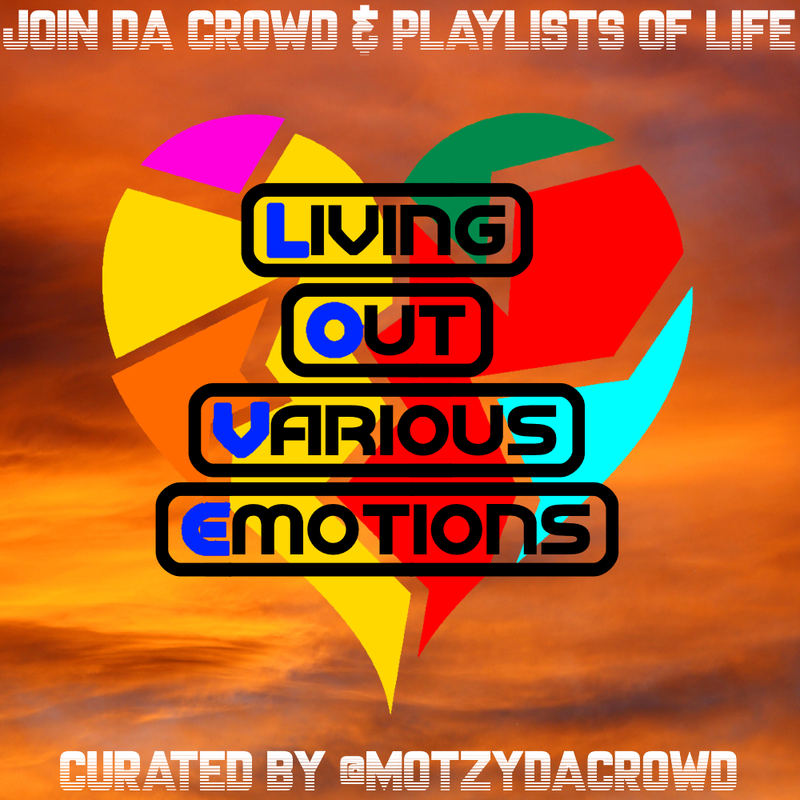 So it's only right we come back on our 11th playlist via Spotify and give you the opposite of that; LOVE (Living Out Various Emotions). 30 songs that incorporate the word love in the title featuring various Hip-Hop, R&B and Soul music artists. Curated by @MotzyDaCrowd, let your ears and emotions take this journey with us again! 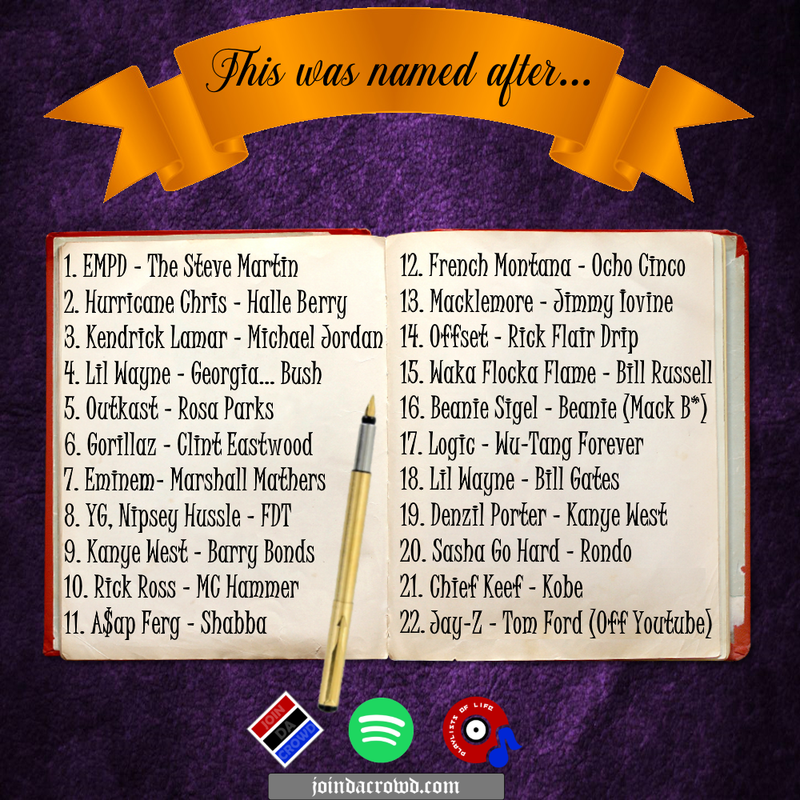 The 'HATE' playlist back in March was a dope experience to put together when discovering that soo many songs used the word. I've always had it in the back of my mind to do a 'LOVE' playlist as well but the timing had to be right. 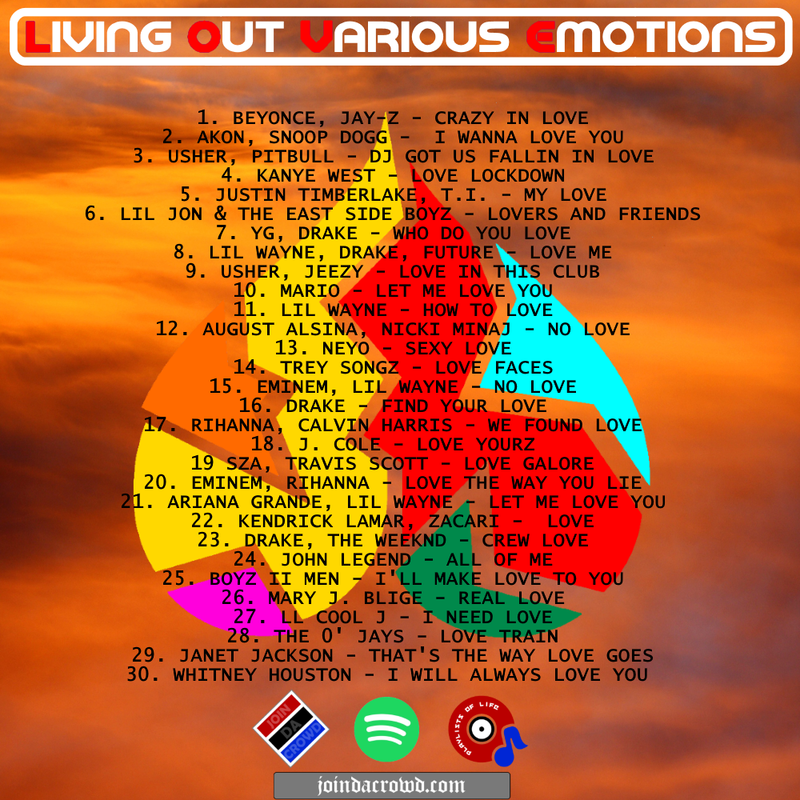 So 10 playlists later and relocating from Tidal to Spotify, it's only right that the "Living Out Various Emotions" playlist gets streamed this go around. Alot of these songs were hit records so putting this playlists together came easy. 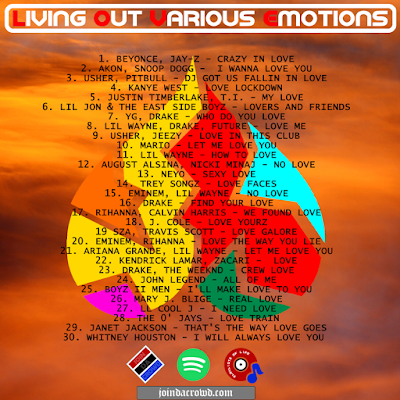 Love is a powerful word, so I hope that these 30 songs tap into that emotion when you listen to this. Enjoy!!! 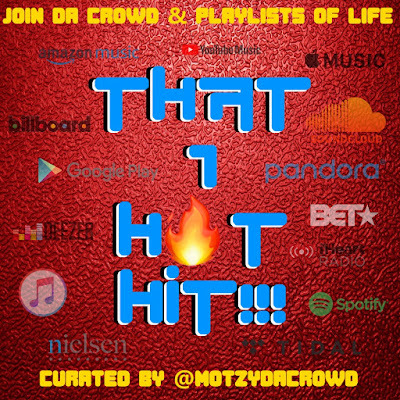 Playlists Of Life - That 1 Hot Hit!!! Most consider them one hit wonders but these rappers and their songs were on 🔥🔥🔥 when they dropped! 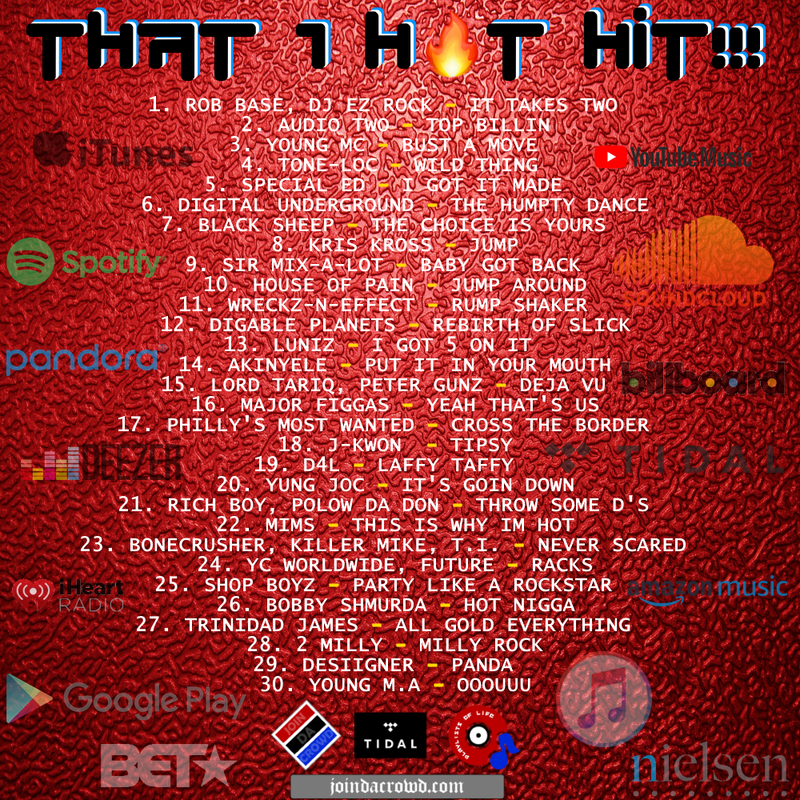 These 30 rap hits shook up the Billboard charts creating some of the best phrases and dances used worldwide only to spotlight the artist once on the Hot 100! 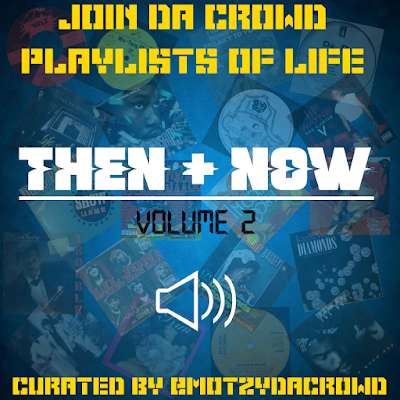 There were soo many other songs that could have fit this playlist but sonically, sequencing these 30 made sense when we went through the timeline of records that stood out for each era. "What's really considered a 1 hit wonder? That one record that made you successful and then you just dropped off or that one record that solidified your career to where nothing else you put out could top that? I say both. 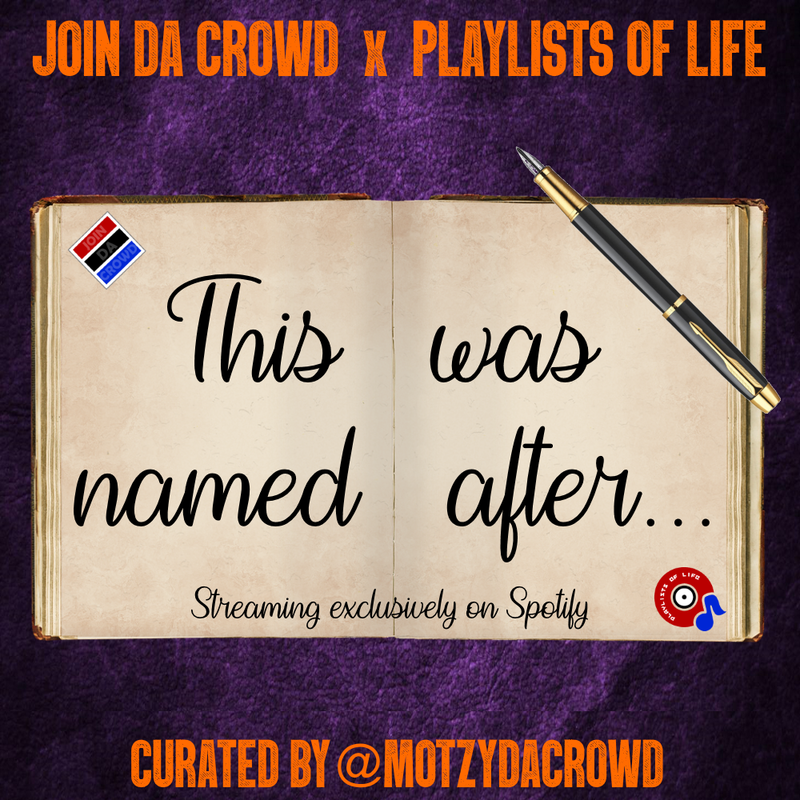 These 30 rap songs to me had really big moments, soo big that nobody really cared what the artist put out after that or should I say didn't have a bigger impact. Either way, these records top the charts and most of these artists will probably never make a song as impactful as theses records, past, present and future..... In My Opinion. Enjoy!"